TEMI CPD Recognition was established to assure International HR and Global Mobility Professionals that listed CPD activities are relevant to them and their professional development. When you see the TEMI CPD Recognised logo you can be assured the learning activity is one of quality and relevance to the global workforce management community. You can have confidence that the activity has met TEMI standards and that the activity will help you meet your professional development requirement of 20 hours CPD per annum. TEMI is pleased to announce that when you attend select International Consultants Centre’s learning programs during 2019 you’ll earn CPD Points to recognise the quality of this program and your professional commitment to ongoing learning. Keep an eye out for the TEMI CPD Logo. Complete the Global Mobility Professional (GMP1) learning program and earn your GMP1 designation. You’ll be awarded a Certificate of Completion, approval to use the GMP1 designation and earn 20 CPD points in recognition of your professional development. TEMI is pleased to announce, that once again, when you attend a Skills For Hire event during 2019 you will be awarded 1 CPD point per event in recognition to your commitment to ongoing learning and your professional development. The Melbourne Mobility Forum run in partnership with TEMI brings together the most influential and senior members of the global mobility community, directly involved in the mobility programme for their own company. Attendees will earn 5 CPD points in recognition their commitment to ongoing learning and professional development. When you attend a Grant Thornton Global Mobility or International Tax Briefing during 2017 you will earn 1 CPD point in recognition of your commitment to ongoing learning and your professional development. FEM’s Sydney 2017 Global Mobility Conference has qualified for TEMI CPD Recognition. Attendee’s earn 5 TEMI CPD points, while Presenters earn 10 TEMI CPD points to recognise their professional development activities. 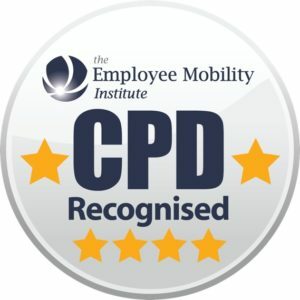 If you’d like your event or education activity to be considered for TEMI CPD Points, simply complete the CPD Application Form and forward to info@employeemobility.com.au. Please allow a minimum of 3 weeks for your application to be assessed. Once approved the event or education activity will be given TEMI CPD Recognition status, remaining valid for the period linked to the activity application, as long as the content does not change by more than 10%. Where the content changes by more than 10% a new Application must be submitted and approved by TEMI if the program is to continue to qualify for TEMI CPD Recognition.